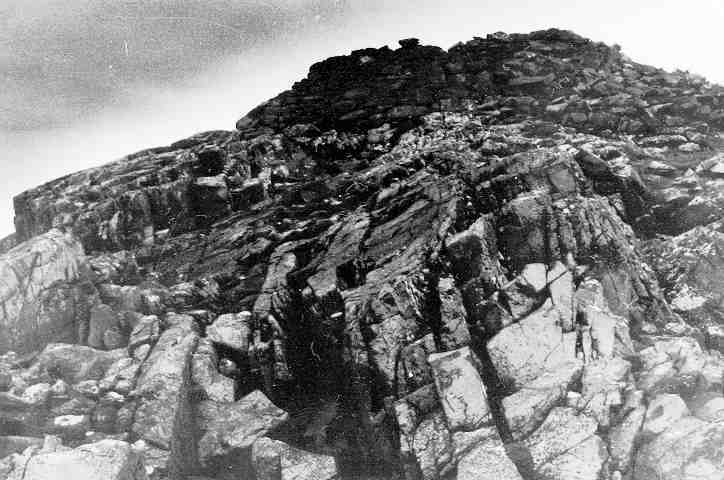 Clachtoll lies on the far North-West coast of the mainland between Lochinver and Point of Stoer. Heavily ruined, the wall stands about 2 metres tall at its highest---it would have been up to 10 metres tall originally. 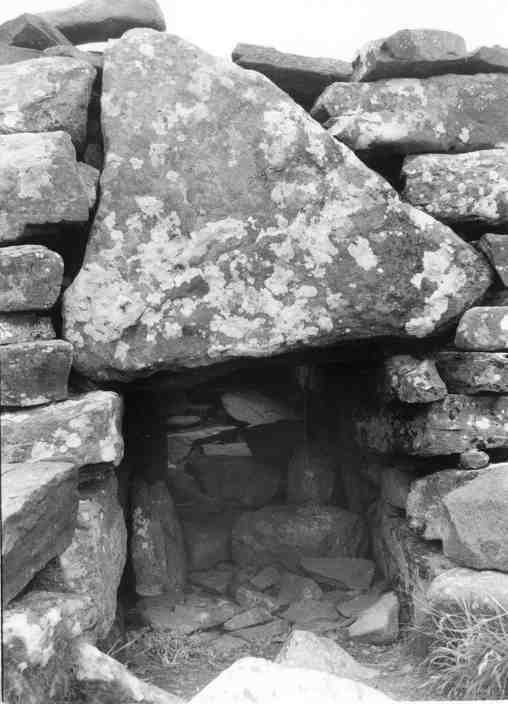 Enough wall still stands at the doorway to show the huge triangular lintel stone above the doorway. 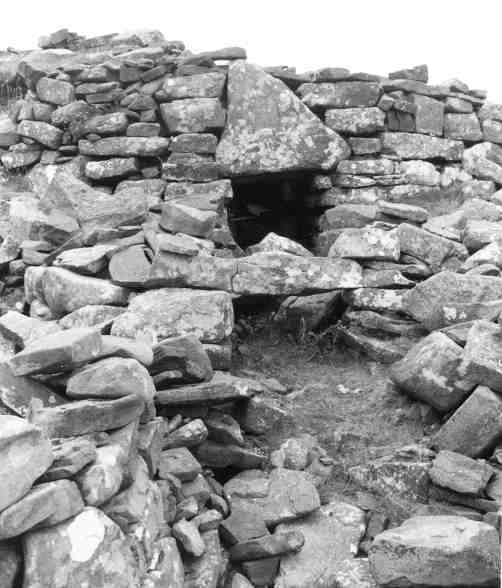 This type of lintel stone is a common feature of brochs. The external diameter is just over 16 metres. 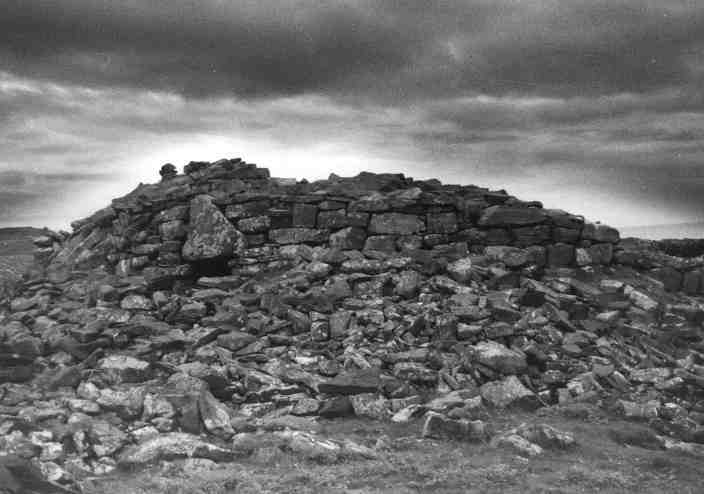 The interior has not been excavated and is full of rubble, but is thought to be about 8 metres in diameter. 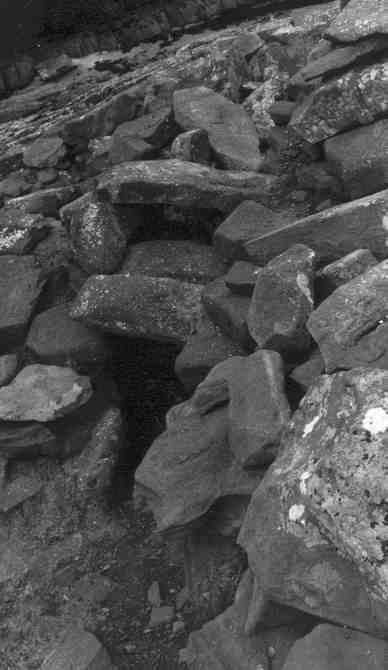 The usual double-wall construction, with a stairway running up through the cavity, can still be seen. There are guardchambers on either side of the entrance. A steatite cup was found in a niche in the wall of one of the guard chambers in the early 1900s.